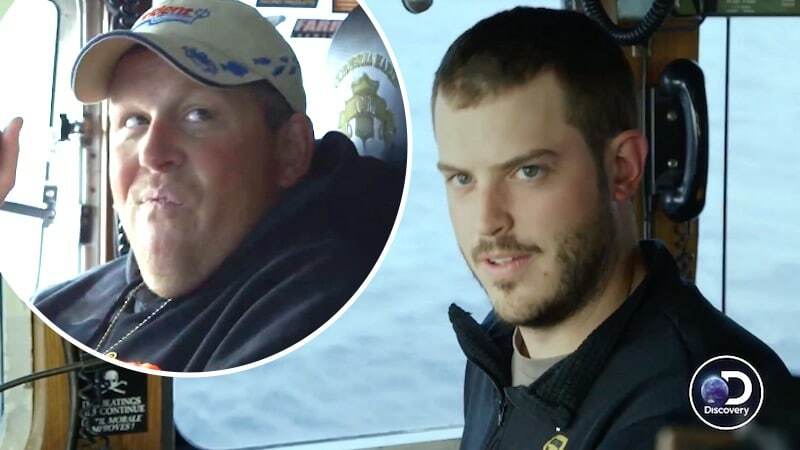 Deadliest Catch star Captain Keith Colburn and his brother Monte have been fighting since they could walk. But are they still at loggerheads after their latest big falling out? Not if you ask him pointedly about the drama on Season 15. However, as our exclusive interview below reveals, there are deep roots to his beef with newcomer Captain Steve “Harley” Davidson of the Southern Wind. For Colburn, his expertise and his bigger boat (Wizard) can weather anything that Southern Wind brings to the chase for the King crab. Unlike Captain Sig, Keith is a first generation crabber and relatively new to the game from that perspective. But he’s been out there crabbing for quite a while, and his outlook is positive that he will keep doing it despite being nipped at a bit by the younger guys, Jake Anderson (Saga) and Sean Dwyer (Brenna A). Both are as tight as ticks and it was Sean who referred to Keith and Sig in the premiere last week as “Uncle Fester and Old Man Winter” when talking to Jake. Thick skin and a great sense of humor and perspective keep Colburn focused on the prize, which is a huge payday come end of season. All the production drama and setbacks aside, Colburn is a fan favorite for good reason — he delivers. His fearlessness is a trait that pervades and likely was what drove him to head to Kodiak, Alaska, as a young greenhorn to try his hand at crabbing. He’s never looked back and has made a success of himself. Over the years he climbed in status. In 1988, he earned a full-share deckhand status on the Wizard, then in 1990 he obtained his U. S. Coast Guard license and in 1992 he received his masters (captain) license and has been the Captain of his own ship ever since. But just like Sig (Northwestern)and even the late Phil Harris (Cornelia Marie), he has been plagued by health issues and sat out most of last season with a serious infection in his spine. The hazards of deep-sea fishing, the stress, lack of aerobic activity and anger management issues seem to be a common thread among all the captains. We spoke to Keith about all of this and more. Monsters and Critics: So this is going on now for, what, 15 seasons? Keith Colburn: I know. It’s kind of crazy. Isn’t it? M&C: It really is. So I’m going to ask you the question I asked Sig. How much longer do you think that you’re going to hang in there and crab in the Bering Sea? Keith Colburn: Well, it’s my livelihood. I own my boat. I own my business. The Wizard’s going to continue to keep crabbing for probably decades, I would hope. But actually going to Alaska and going out and fishing, I don’t know. I’m at a point where it really wears you down and the stress is a little bit much. But at the same time, you know what, there’s a weird, eerie feeling of being at peace when I’m out there doing my job; where I can put everything behind me in life and just…hopefully put everything behind me in life…and just go focus on something. And so, I don’t know, I’m probably going to be going back up there for a few more years, that’s for sure. M&C: It’s like your zen spot. You’re literally in command of your ship, so to speak. Metaphorically and physically. Keith Colburn: That’s a good point. It’s like you’re in command of your ship, and then also your mind, health and body. Yeah, it’s kind of bizarre. But it’s something I enjoy. And it’s not being like a control freak and wanting to be in charge or anything. It’s exactly the opposite. Because we aren’t in charge in the Bering Sea. Mother Nature is the boss. We just do what we can to work with her, and hopefully sometimes not with her working against us. M&C: You had a tough season last season. You got sick and you had that infection. How did that happen? And how long did it take for you to recover from it? Keith Colburn: They pretty much put me on the shelf for about six months. It took almost two months to clear the infection, and then go through some more MRIs. And there’s some permanent damage to my back. But I did get the green light to go fish again. And fortunately, it wasn’t as bad as it could have been. So it’s just something that happens, I guess. I don’t know. We’re all getting older and we’re susceptible to things we don’t realize we’re susceptible to. M&C: Any idea on how you got that infection in your spinal cord? Keith Colburn: Actually, no. It mutated into osteomyelitis, which is basically a bone-eating disease which attacks your elbows, knees, joints, somewhere; it just happened to go into my back. So, I don’t know. I travel a lot. I go to Central America. I go all over the place. And who knows if I drank something the wrong day at the wrong time, or what? It’s hard to say. M&C: Your brother, that was a big source of…sort of the cliffhanger, and then of course the premiere…it was like tough-love time for Monte. But at the same time, watching you for so long and speaking with you in person, it was endearing at the same time the way you let him back on the boat. Can you talk about that? Keith Colburn: Well, the thing is this: Monte and I…we are brothers. We’re always going to fight, that’s just the way it is. But we’re also going to work together to try and accomplish what we need to do out in the Bering Sea. 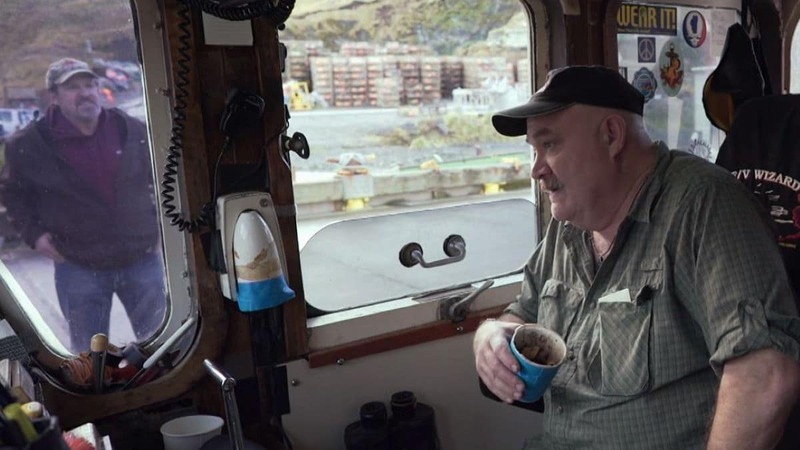 So there’s no captain in the Bering Sea that I’d rather have run my boat than my brother Monte…yet, heck, we’ve been fighting since we could walk. And it happens, and we have disagreements. And at the end of the day, I own and run and operate a business. And sometimes my brother doesn’t want to do it the way I want him to. And if it gets to a point that I don’t think it’s acceptable, well then you know what? Adios. M&C: It seems like he’s buckling down. Keith Colburn: Well, here’s the thing. They don’t have cameras on us all the time. If they would have got us the week before, down in Ballard, Washington, they would have gotten some real good stuff. M&C: Okay. So the 800-pound gorilla this season that they introduced is this Harley Davidson guy. He’s a little cocky. Just watching him with his huge boat. Discuss. Keith Colburn: Well, Harley’s been out there fishing for a long time. And I have never partnered with Harley. We’ve never been partners. And we’ve had some issues in the past, long before television. And so there’s no love lost between the two of us. For the record, yeah, he’s got a big boat. But the Wizard is bigger. He holds a lot of crabs. The Wizard holds more. He can carry a lot of pots, but the Wizard carries more. I’m 10 feet longer, hold a 100,000 pounds more, and another 50 to 100 pots more than his boat. Yeah, it’s a big boat and it’s a lot bigger than most of the boats on the show. But the Wizard’s the bigger boat. M&C: All right. So you mentioned that before the show, pre-Deadliest Catch TV series, you had a little run-in with him. Do you want to mention what it was over? Was it territorial in fishing, or business? Keith Colburn: We were just fighting over crab. Territorial fighting over crab. And the dust has never really settled, so it is what it is. He’s got a big, competitive boat. He’s competitor. So am I. And we seem to…when we do actually end up somewhere near each other on the fishing grounds, we tend to step on each other’s toes. M&C: Got it. Talk about your crew real quick this season. Obviously, your brother. And then who else is running with you this season? Keith Colburn: I pretty much have the same group of guys I had the last couple of years. I have, obviously, Monte. And then I have [Gary] Soper, my deck boss and mate. I’ve got Roger and Tyler. And Roger now is a licensed engineer. So he’s not only one of my full share deckhands but he’s also the licensed engineer on the boat. He’s been with me for a long time. Tyler’s my badass deckhand that’s been with me. Freddy Maugatai is back on the boat. And then I’ve got a couple of kids. I’ve got O.J., my little Filipino guy that’s the hardest working guy on the planet; but really, physically, not…I hate to say this…big enough and strong enough to be a crab fisherman. But he manages to get by because he just is so involved, and never stopping. And then Tyler’s younger brother, Todd. I’ve had him on there for a while as well. And later in the season they’re going to introduce Monte’s son, who is going to come on the boat and work. M&C: Who’s Monte’s son? What’s his name? Keith Colburn: His name’s Gregory. But you won’t see him until the second half of the show. M&C: Got it. 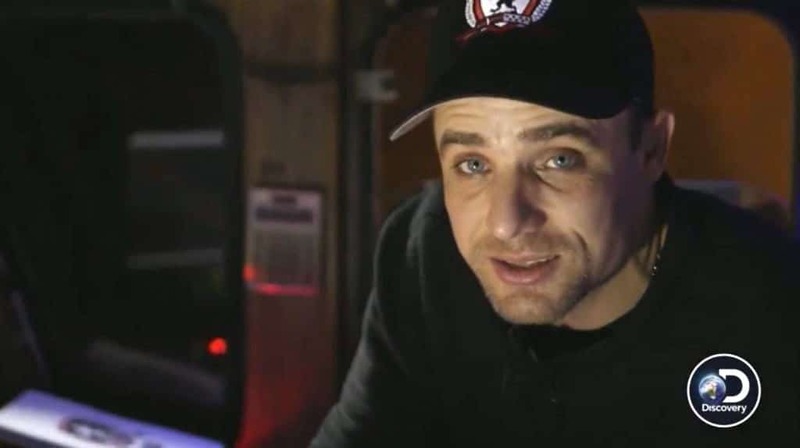 I noticed too, in the opening, the Deadliest Catch family lost a crewmember, a cinematographer and cameraman, Zac McFarlane. Did you have any anecdotes about Zac? Was he ever on the Wizard? Did he cross paths with you? Keith Colburn: No, I knew Zac. We didn’t work together a lot. But he was a good guy. And it’s unfortunate. And my heart goes out to his family and friends and everybody else. The crazy thing is that over 15 years of TV, we have become friends, workmates, just people working together to try to accomplish something; and that is, make a television show. And it sounds crazy for a captain of a crab boat to say, “Hey, I’m trying to make a television show.” But at the end of the day, I want us to be successful. I just want them to do their job and get it right, and just film and never stop filming; and then let all the gurus down in Burbank…the editors, sound people, everything…figure out how to cobble it all together and make television out of it. But we become friends with these folks. And we spend a lot of time with these camera guys that are embedded on the boat for weeks and weeks, and months and months, at a time. The Captains, Casks & Cocktails fundraising party is a week away (Saturday, May 20th) but the competition is already heating up! Fans and supporters have chimed in to donate & make sure their favorite Captain & his “cause” are in the lead. Captain Sig Hansen /Sea Scouts: $1010 Capt. Casey McManus & Captain Josh Harris/Cornelia Marie Cares: $410 Capt. Keith Colburn/ “Destination” Memorial Fund: $470 Captain Sean Dwyer/ALS Therapy Development Institute: $450 Can’t come to the party May 20th? You can still be a part of the fun! Go to https://fremontmischief.com/product/fill-captains-barrels/ and donate to fill your Captain’s barrel before the ships depart for the Bering Sea. We’ll add your un-aged whiskey donation to the barrel, sign your name along side the Captains and you can track your barrel on our website as your Captain fishes the Bering Sea. The ships leave for the Bering Sea June 1st! Donate to help fill your favorite Captain’s barrel today! So, I have some really good friends that are on the production side. And it might sound crazy, but maybe even more so than fisherman in Alaska now, they’re crab fisherman. Because it’s a tight-knit little group. So when we lose someone, whether it’s on the ocean or at home, that’s always tough. M&C: Who would you say, in the cast, is someone that you’re the closest to? And I’m talking not about the production crew now. I’m talking about your peers that are out there in the Bering Sea? Keith Colburn: Oh, wow. Unfortunately the guy that you would think I wouldn’t say, given what’s happened on TV and actually in real life over the last 15 years, would be Jonathan [Hillstrand] and he’s not on the show anymore. I would say he would be my closest friend and dearest friend. I have a really good working relationship with Wild Bill [Wichrowski],and we’re friends. And then also Sig [Hansen]. [My] Relationship with Sig’s a little weird but we’ve known each other for almost 30 years. And long before TV, we were friends, when we had babies and little kids. So we’ve been close for decades now. And then some of the younger kids, too. Jake Anderson’s a great kid. I love him to death. And Sean’s [Dwyer] not a bad guy. Sean’s a good guy and I’ve known his family for years, his mom and his dad. And so it’s kind of strange that a lot of people that are on the show, through the interweavings of the Bering Sea, that I’ve known for, if not years, decades. So I would say it’s hard to say I’m having coffee in the morning with somebody everyday, but I feel like I have a lot of friends that are on the show and a lot of guys that I know I can trust to go to if I need help, whether it’s fishing or life, or whatever. M&C: Well, from the premiere, it looks like you guys had a very lucrative king crab season. Thanks for carving out time to chat about the new season and your feelings about things. Keith Colburn: Thank you for a great interview…and I’m excited that Catch is in its 15th year and seems to be just doing fantastic. 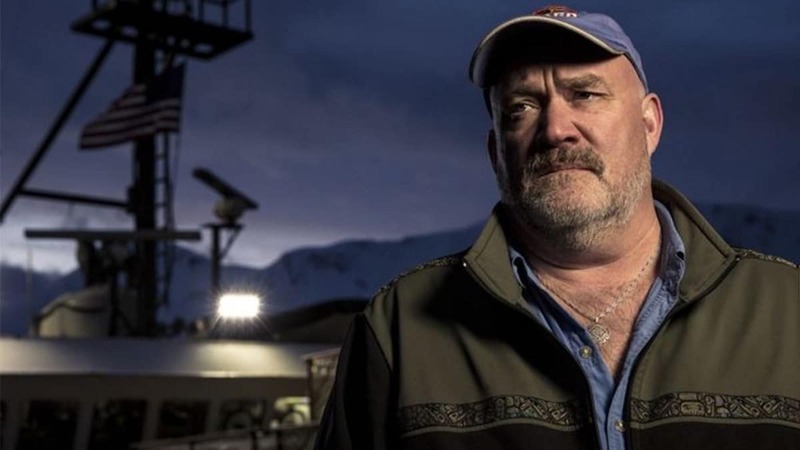 Deadliest Catch airs Tuesdays at 9/8c on Discovery.